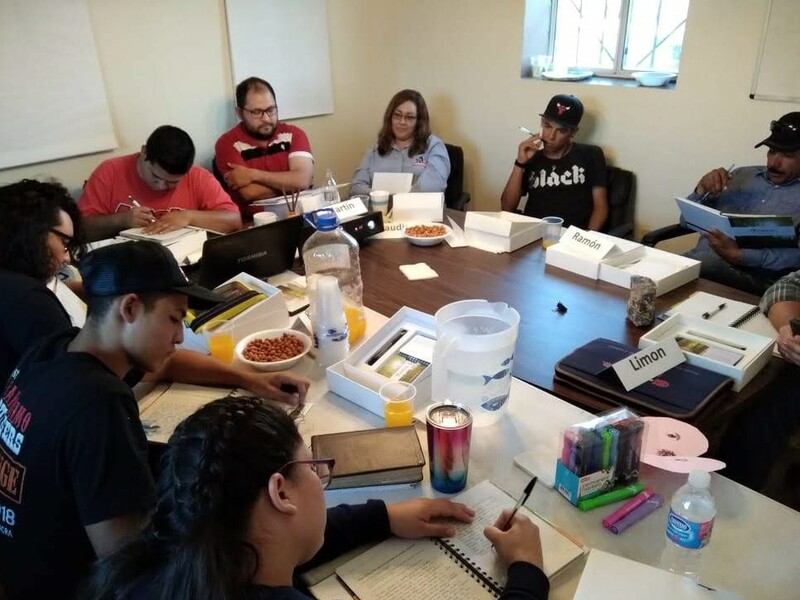 This fall employees from Carnisimo (meat plant), Carnisimo Burgers, and Rancho Agua Viva are taking the course based on Steven Covey’s book “7 Habits of Highly Effective People”. Each of the 7 Habits are based on principles of effectiveness, paradigms that are aligned with principles, and practices that produce effective results. The team meets every Monday and Thursday afternoon for 5 weeks in Carnisimo’s conference room. September ushered in the end of rainy season and the beginning of preparations for AI (artificial insemination) protocol. A ride out on the range at Rancho Ojo de Agua also provided abundant confirmation of an amazing rainy season. All praise and honor to the Creator! Ranch hands at RAV headquarters head out for a day of work. Cows and their calves graze on the verdant pastures at RAV headquarters. Range land at Rancho Ojo de Agua, greatly improved by the moisture of rainy season! Calf from a commercial cow bred with a Red Angus bull. White Park mother bred with a Red Angus bull.